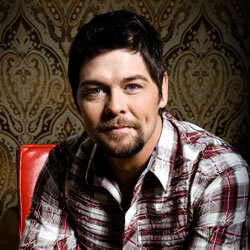 January 13, 2012 – Nashville, TN – Grammy® award-winning Christian vocalist Jason Crabb rang in the New Year with a Twitter chat on Country Music Chat (#CMchat on Twitter) hosted by Jessica Northey. The chat with Jason Crabb generated 34.5 Million impressions, reaching 1.4 Million people! Jessica Northey is ranked as the most powerful woman on Twitter (tweetgrader.com) and was thrilled to welcome Jason Crabb as her first guest of the new year on the weekly chat. 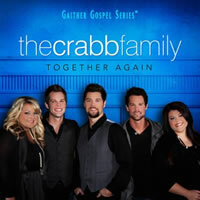 The chat focused on Jason’s career, family life, and what the singer has in store for the upcoming year including news about the new Crabb family CD Together Again releasing on Feb. 7, 2012 with Gaither Music Group. Country Music Chat, which was founded by Northey, has generated more than 500 million impressions and reached an audience of over 30 million people. The forum is Twitter’s first and only registered live country music chat. For more articles featuring Jason Crabb, click here.